Fairly frequently someone will post on the rec.outdoors.rv-travel (RORT) group about a problem concerning alternator durability. 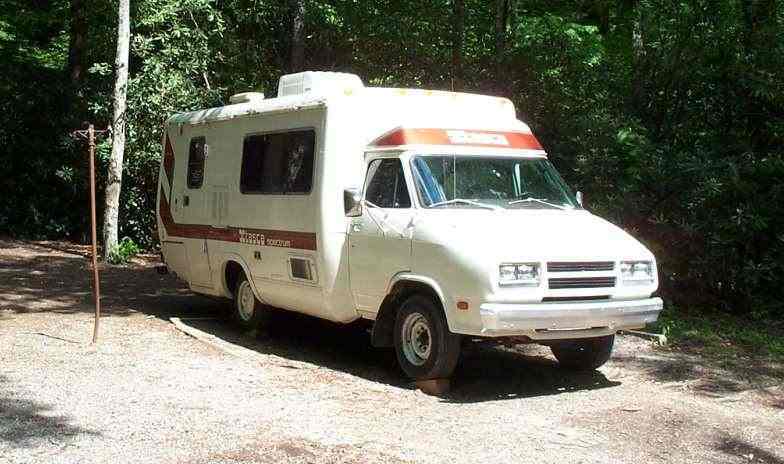 Generally the problem is that the alternator in their motorhome keeps burning out. The reason is that automotive-type alternators are not designed for continuous full load operation such as is required to charge a depleted house battery. The automotive alternator is designed to supply a high peak current to replenish the starting current and then rapidly taper off to a lower load. The photo at left graphically shows the difference between an automotive alternator and a heavy duty one designed for continuous operation. 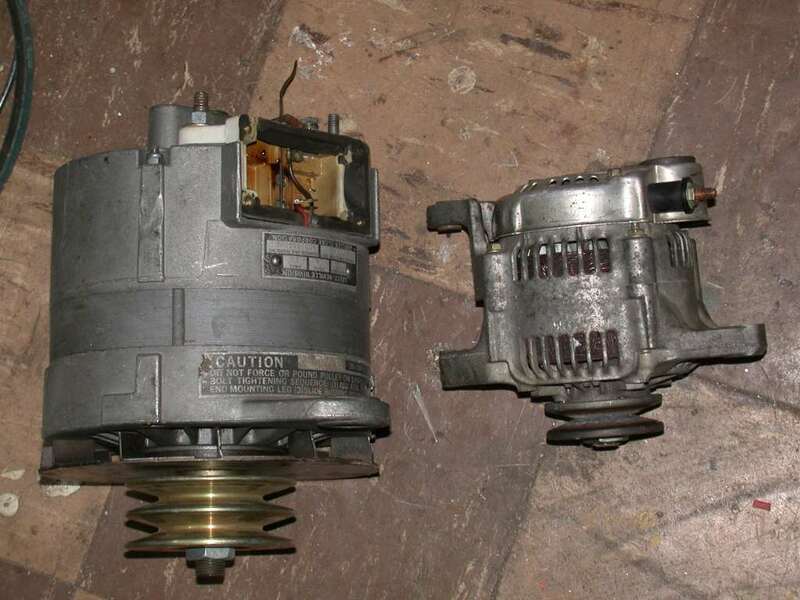 The one on the left is a Leese-Neville semi truck alternator. The one on the right is from a small car. Both are rated at 100 amps. Guess which one can do it continuously.